If you examine the ingredients on the back of the last tube of commercial toothpaste that you bought, you’re likely to find a few unpronounceable elements listed there. Now, just because you don’t understand something doesn’t automatically mean that it’s bad for you, but why not err on the side of caution and make sure that you know what each and every ingredient is before you put it in your body? In case you didn’t already know, this is a chemical very similar to water, except with one extra oxygen atom. You’ve probably used it before for cleaning, bleaching your hair, and maybe even swishing it around in your mouth when you had a toothache. Lots of people use it for gargling because of its antiseptic properties, and it’s a great simple alternative to commercial mouthwash. Since it tends to whiten the surfaces that it comes into contact with, this is a good ingredient to have in your homemade toothpaste if you’re concerned about turning your corn nuggets into pearly whites. It can also potentially stave off cavities since it fights the germs in your mouth. 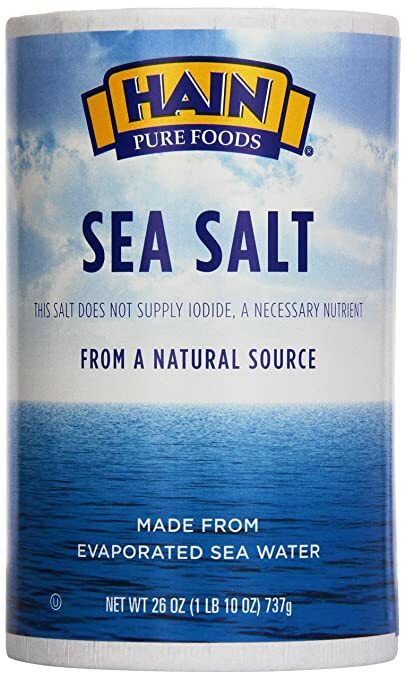 Just like table salt, this is basically sodium chloride, but the major benefit that natural sea salt has is that it retains a lot of the healthy minerals that come from the ocean. These are trace nutrients that help support your bones and immune system, like calcium, iron, zinc, and iodine. Obviously, you won’t get tons of this from a few smears of toothpaste. But if you’re going to be scraping something against your gums, it might as well give you a small health boost. When dissolved in water, sea salt is great for gargling as well. There’s nothing like natural saline as the main ingredient for your best natural toothpaste. Also called sodium bicarbonate, you may have used this as a deodorizer in your fridge before. It absorbs bad smells like nothing else, which is why tons of people use it as a safe home remedy for all kinds of stinky problems, like foot odor, underarm stench, or bad breath. In fact, baking soda might already be the main ingredient in the store-bought toothpaste that you’ve been using. 1) Put one or two tablespoons of filtered water into a small container. 2) Sprinkle in roughly a teaspoon of sea salt, then shake it around and let it dissolve a bit. 3) Add about a teaspoon of baking soda. Just as with the sea salt, let it dissolve. 4) Add a few drops of hydrogen peroxide and mix it up. 5) Dip your toothbrush in the mixture, then get to work. It doesn’t have to be exact. Vary the amounts depending on your taste and on your needs. You might even want to skip ingredients altogether if you don’t tolerate them well. For example, some people don’t like the mild burn of hydrogen peroxide, and others find salts to be too abrasive. The reason why the amounts don’t matter too much is simply that you don’t actually need any of them. Many people don’t realize that toothpaste is optional and the real health benefits of brushing mostly come from the mechanical action of the bristles against your teeth. Sure, toothpaste can enhance the experience and leave your mouth feeling more fresh, but the most important thing is that you make sure to brush your teeth at least twice a day, preferably after every meal. In that sense, sometimes the best natural toothpaste that you can use is simply whatever will motivate you to brush your teeth more often, even if it’s just plain water. If you want to get fancy, though, there are commercial natural toothpaste that taste great and are made of safe ingredients. Even mainstream grocery stores carry them nowadays as the demand for healthy choices has been increasing steadily. Of course, making your own natural toothpaste will always remain the cheapest and simplest alternative. Before you can decide what natural toothpaste to buy, do note that just because a product is sold as natural, the ingredients may not always be natural and you should always check the box while shopping. Just like any commercial products produced in quantity on the shelves, toothpaste is no exception and it had been industrialized over decades. Made from blackthorn, sea salt, myrrh, baking soda flower extracts this natural toothpaste will leave you with fresh smelling whiter teeth that you`ll be proud of.Read my other post on natural remedies for bad breath. Of course, the choice is yours, with so many different offers out there, it`s hard picking the best. What`s your choice, what do you consider to be the best natural toothpaste? what ingredients must a toothpaste have in your opinion? would love to hear from you, leave me a message below. Hi there, a really interesting website addressing an issue that probably most people experience now and again. I definitely prefer toothpaste’s that contain ingredients like baking soda or sea salt. I am a huge fan of Weleda products even though they can be quite pricey. But Weleda always produces great quality. I might try out your recipe for homemade toothpaste. Now and again I brush my teeth only with a bit of sea salt to whiten them a little. Do you think baking soda would be better for it? Hi Roamy and thanks for your article. Am one of those who suffers from perennial teeth problems. In fact just last night I had a terrible toothache. I use normal toothpaste but it doesn’t always help. Do you reckon using home made natural ingredients could help in reversing tooth decay? Sorry about your tooth problems,have you tried garlic?Garlic has antibiotic and other medicinal properties and can be very effective in reducing the your toothpain. To strengthen weak teeth,I^d suggest proper oral care to begin with,this include flossing, brushing 2X daily, and dont forget to rinse and clean your mouth after every meal. I never thought of using sea salt as toothpaste but I might have to give it a try. I have to use a toothpaste for sensitive teeth. Do you know of any natural products that I could add to your homemade toothpaste that would act in the same way? Or are there any natural products on the market for sensitive teeth? 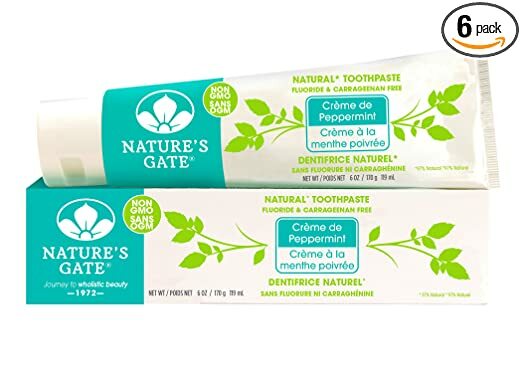 Have you tried mixing tea tree oil with your natural toothpaste? you should. I like the way you gave the ingredients for our own homemade toothpaste. I knew about the benefits of each of these products separately, but never thought of putting them together. 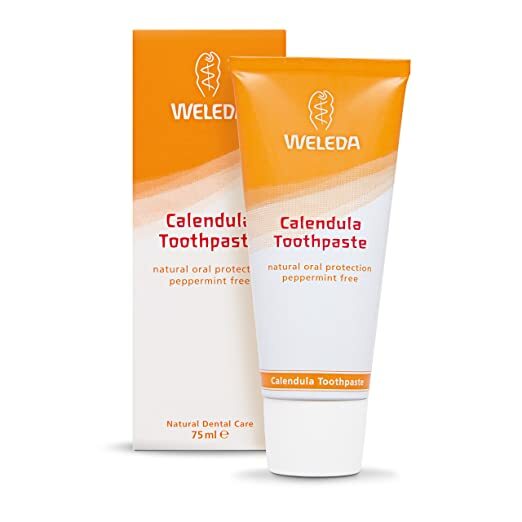 I also use a natural toothpaste which I order online, but I will compare the Weleda brand which you recommended to see which I like best. Thanks Judy,most products we have in our homes have loads of uses than we think. My friend told me about this once and I did not believe him! It is awesome to know I can make a healthy and effective toothpaste right at home with common household items. I definitely think I will give this a try! Is there any other ingredient you could add to give it a minty flavor? thanks for stopping by, you can sure have a home made minty flavored toothpaste by chopped and then bouled peppermint with the other ingredients, will have to post a step by step soon,check back. Your natural toothpaste recipe is an interesting combination of ingredients that I haven’t tried yet. To be honest, I frequently use just plain baking soda. It seems to do a very good job of both cleaning and whitening. I’ll be interested in trying the hydrogen peroxide to see if it further improves whitening. Thanks for the tips! You are welcome Linda,I just hope you do not overuse baking soda to whiten your teeth, moderation is the word. Thanks for putting together such an easy recipe for the best natural toothpaste. It’s also a good reminder that all it takes is water. Sometimes water is the only thing available and hopefully, you at least have a brush! Although I do prefer to use a paste and will try your recipe once I get the ingredients, I like to brush after every meal. I find just water is best in those situations. Minty/salty paste doesn’t mix well with orange chicken. This is a touchy subject in my house – I’ve avoided going to the dentist for a very long time and I plan to keep it that way! I do, however, have a few problems with commercial toothpastes and their ingredients. I might give your home made stuff a try, I never thought it would be safe to put peroxide in the mouth…interesting stuff. Great recipe for a homemade toothpaste. I’ve been using Nature’s Gate for a few years now and really like it. I hate that my family members still use commercial brands with fluoride in them. I’ve tried to tell them its not much more expensive to buy a more natural toothpaste. I think I will present this recipe to them to see if I can convert them. Also, have you heard of using activated charcoal as a tooth whitener? I have heard of using “charcoal” to whiten teeth but never tried it, the charcoal looks nasty,this black of the blackest I know and no thanks(lol) im not putting that into my mouth. This is interesting, I have heard a few people recommending these remedies as a solution to get naturally white and bright teeth. Does this work, I have tried making these but instead of hydrogen peroxide I have used lemon juice, does it work the same or is there any difference. Like you I do use lemon juice to brighten my teeth.Having said that people do prefer different ingredients to get whiter teeth I say if you find what works go for it. Thanks for sharing this easy to make homemade toothpaste recipe. As a child, my grandmother made a variety of homemade tooth paste from time to time. I remembered her using baking soda and water to make a paste. Also, baking soda and coconut oil. She claimed that she used it regularly as a child. I once tried the baking soda and water paste, it was different, it did not foam but was OK. Thanks for stopping by.I`m glad there are enough choices of toothpastes out there to choose from, personally I do find baking soda to be abrasive and gives me blisters inside my cheeks but it`s an easy and cheap way to brighten teeth.